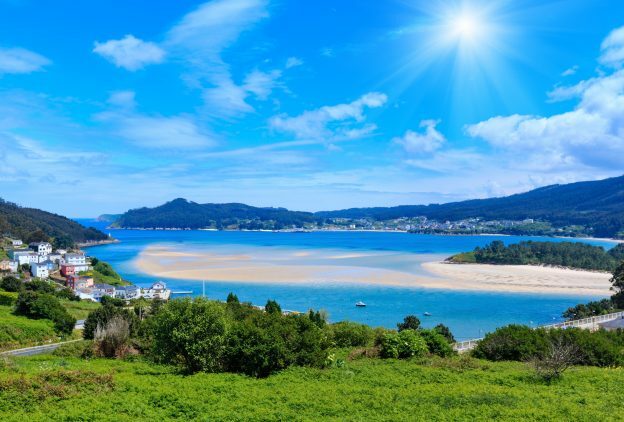 With its historic towns and unspoilt beaches, the pretty Spanish region of Galicia is becoming increasingly popular with tourists looking to enjoy the unique culture that the North-west of Spain has to offer. From its cities, such as Santiago de Compostela and Lugo, full of unique buildings and architecture, beach towns like Sanxenxo and La Coruna and fishing areas such as Ourense and Pontevedra; there is something for everyone in the area known as Green Spain. It is therefore easy to see why more and more people are deciding to buy property in Galicia. If you are planning to buy a property in Galicia, then it is important to seek independent legal advice from a lawyer that can fluently speak English. But how do you find an English-speaking Lawyer in Galicia? Well, here at Worldwide Lawyers we can help! For details of a recommended lawyer in Galicia, contact Worldwide Lawyers on 01244 470339 or at info@worldwidelawyers.co.uk. For Further information about buying property in Galicia or in other areas in Spain, download our Spanish Legal Buying Guide (on the right of this page). English-speaking. Unless you are fluent in Spanish or Galician then it is imperative that you choose a fluently English-speaking Lawyer in Galicia to ensure that you fully understand the advice that your Galician lawyer is giving you and that they fully understand any questions that you ask. Independent. This means that they are in no way linked to an estate agent or seller of the property you are purchasing. Many estate agents will try to recommend a suitable lawyer or their own ‘in-house’ lawyer but we recommend that you should find your own to ensure that they are acting in your best interests only and that there are no conflicts of interest between you as the buyer and the seller. Experienced. You will need to ensure that they are experienced in property law, particularly in the area of Galicia and that they have experience of assisting English-speaking clients. Registered and Insured. Your Lawyer in Galicia needs to be registered with their local bar association and hold valid professional indemnity insurance. They should be able to provide you with their certificates for this. Worldwide Lawyers can put you in touch with a recommended English-speaking lawyer in Galicia who meets all of the above criteria. If you are looking for an English-speaking Lawyer in Galicia, contact Worldwide Lawyers on 01244 470339 or at info@worldwidelawyers.co.uk. Our experienced team will be able to discuss your requirements and put you in touch with a suitable law firm in Galicia, who can provide you with a no-obligation quote for their services.